Great projects! There is so much detail in each piece. Thanks for sharing. 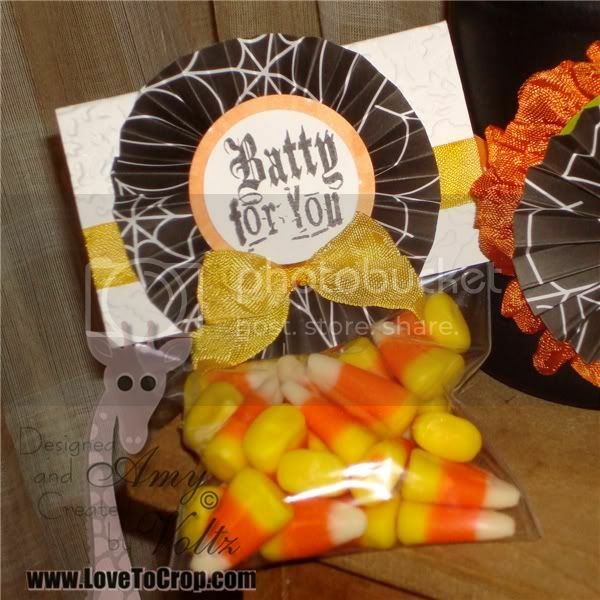 These are so great and I love corn candy... I have been MIA for awhile but am back. Took a much needed mini vacation and am sharing it with everyone on my blog. LOVE it...upcycling is always best in any case and I can about imagine how cool it looks with the light shining through. Great job as usual and your rosettes are fabulous with that spider web paper. 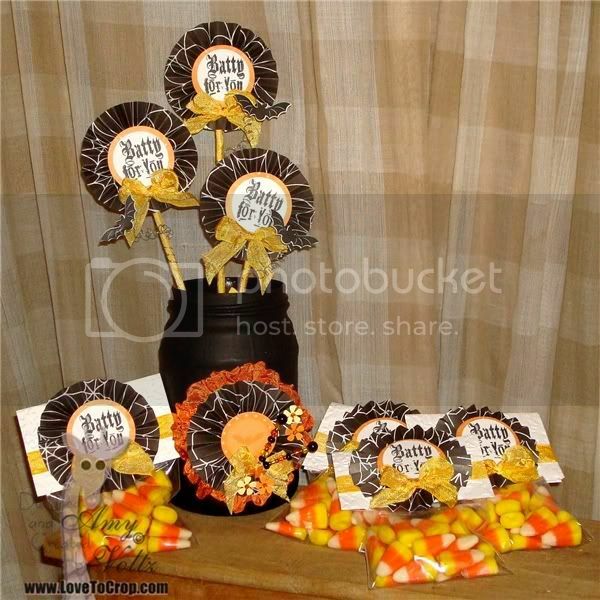 Yummy...great idea for the cool flicker addition! WOW!! 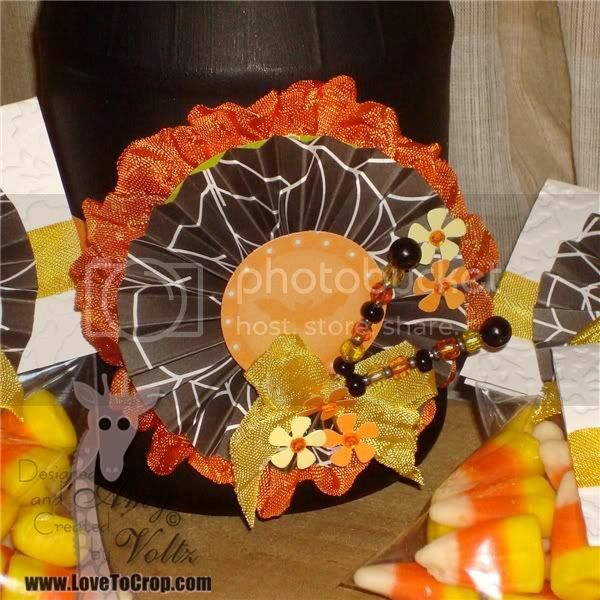 Amy LOVE the ribbon around the rosette, it looks beautiful and love the goodie bags with those YUMMY candy corns!! Thanks for sharing them with us!! Amy, these are all just awesome!!! You have such a talent, my friend!!! 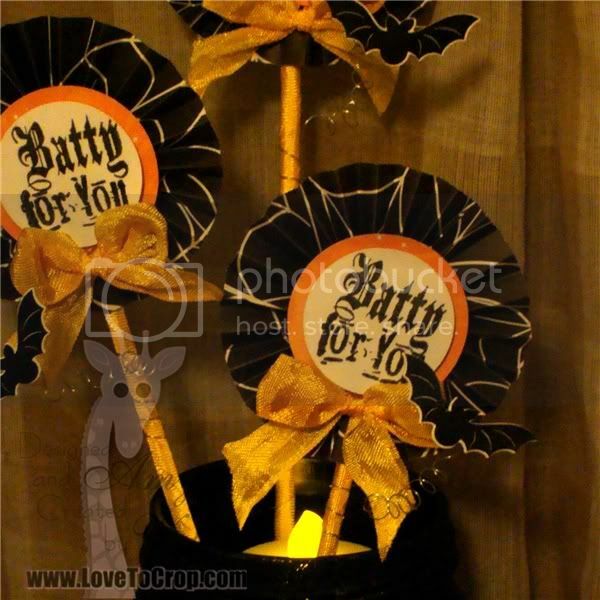 Super fun decorations! Great details! ooooh ... LOVE your decorations on the jar!! Yummy! I want to come party at your house! Fantastic projects! I want a treat bag!! Love your center piece and goody bags. I just love the rosettes. Here with Decorate to Celebrate. Visiting from Decorate to Celebrate. Thought I'd have commented earlier but do not see comment so here goes. 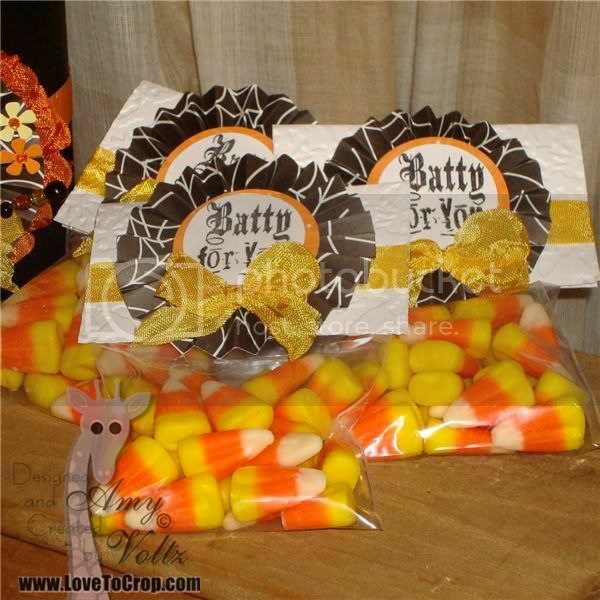 Like the Batty Candy Corn treats. Here again-Awesome project-I am here from Decorate to Celebrate! Would LOVE to win! You always make such cute projects Amy! I am hopping with Decorate to Celebrate - don't know how I missed this project. This is really cute. 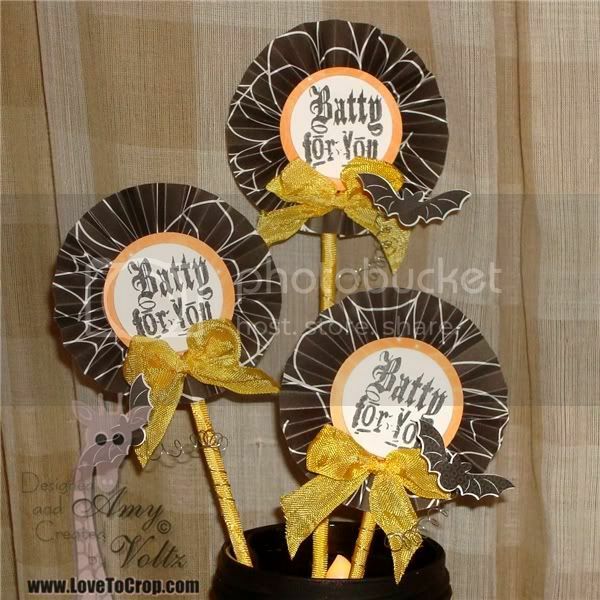 Floating bats - how delightful :) Love your stickpins and those rosettes made with the patterned paper are awesome! awesome Halloween decor! Party time! Love these blog hops! Glad we get time to do them - because otherwise I would not be able to play - thanks!